← Where to get cheap crystal cases at Toronto’s Pacific Mall. Thanks to our partner, Nokia, we had launched a contest to give away 5 Nokia N97s to Qikkers for sharing their experience and tagging them with #N97contest for the past month. Well, we had a whopping 688 entries during the month from all over the world and would like to thank everyone who participated in this. 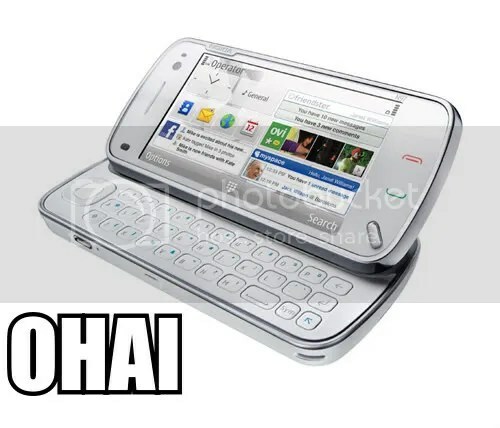 So, the 5 lucky winners of the Nokia N97 are…..drumroll……….. The timing couldn’t have been better, as I’m currently in the market for a new Nokia anyway. In fact, due to the realization that the N97’s front-facing camera shoots at a higher resolution than other Nseries models, it was back in the running against newer, supposedly better handsets. 2 Responses to Meet my next Nokia! Nokia 97 rocks!! I have one..